The "Real Housewives of New York City" star is now opening up about the pain she's felt since the loss of her close friend and sometimes-partner. 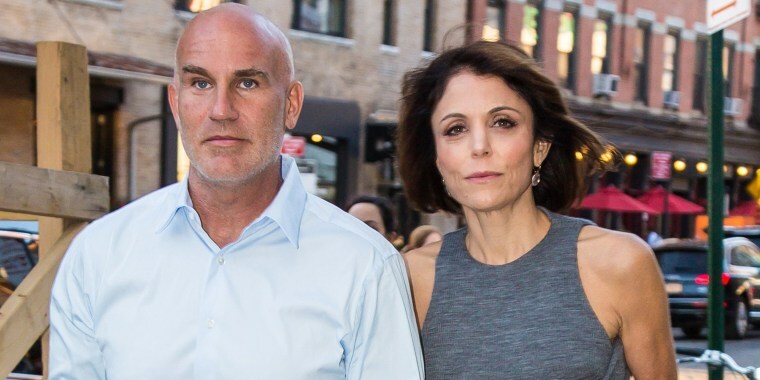 Grief is a difficult thing for anyone to endure, and Bethenny Frankel is now opening up to her fans and followers about her own "excruciating" experience in the wake of a difficult loss. It's been just over two weeks since Frankel's on-off boyfriend, Dennis Shields, was found dead in his Trump Tower apartment. "It’s hard to breathe & I appreciate you giving me the space & support to try to do so," the "Real Housewives of New York City" star explained on social media Sunday. She added that "excruciating-sudden death" comes with "no closure & constant (questions) & memories." A lot of memories, as Frankel and Shields had known each other for nearly 30 years, long before they first began dating each other in 2016. "Our relationship is current so it’s painfully raw," she noted in her emotional tweet. "Trying to stay healthy & move through it w tears & close friends." This isn't the first time the 47-year-old reality TV star and entrepreneur has spoken out since her friend and sometimes-partner's passing. Shortly after the 51-year-old's death, Frankel shared a sweet photo or Shields lying in bed beside her beloved dog, Cookie, who died last fall. Shields' cause of death has yet to be determined. Earlier this year, during a visit to the "Steve Harvey" show, Frankel hinted that things were getting serious between her and Shields, though she never mentioned his name. "I’ve been with someone on and off for years," she told Harvey. "It’s like a partnership, where if we’re not being teammates and it’s not working and one man is down, then the other man is down. We’re trying to really kind of be good partners and be good teammates, and I think relationships oddly are — and this sounds cold — but a little bit like business. ... So both partners have to say, 'All right, I’m in it for this. '’ And I think we might be at that point, believe it or not. I haven’t said that to anyone yet."